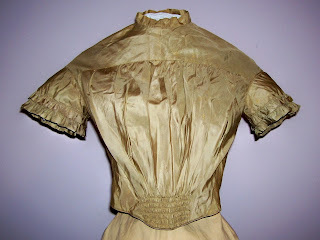 This auction is for a lovely original evening bodice from the 1840s. 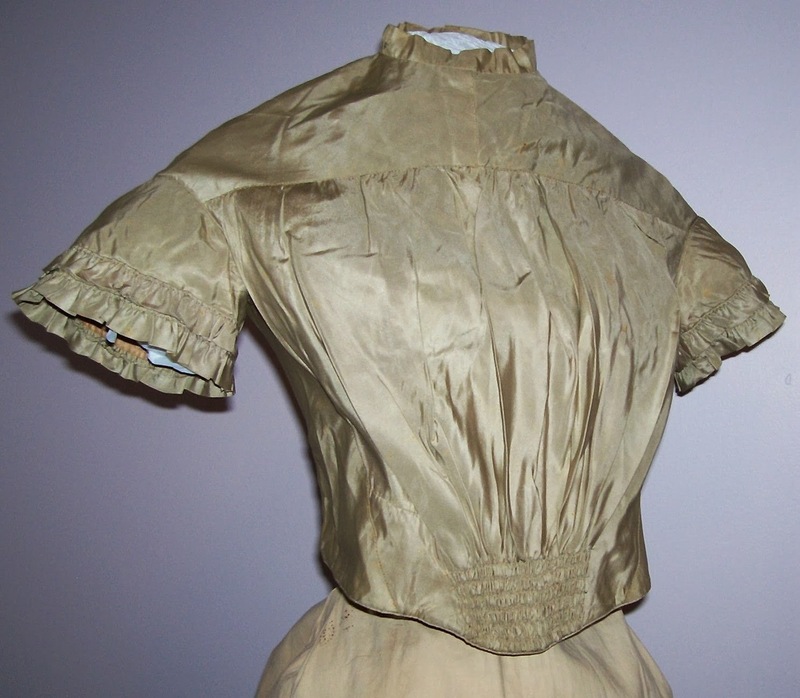 Possibly made for a teen, its fabric is taupe silk taffeta. The design is a fascinating combination of the pleats and smocking so fashionable during the Romantic era. 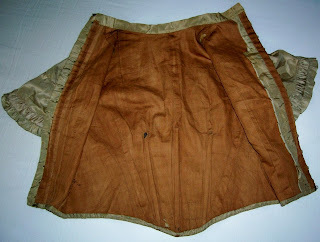 The bodice's construction is classic 1840s with a yoke and a front panel forming tight gathers which are smocked tightly at the basque waist. The sleeves are delicate caps set into the armhole and finished with tiny puffed flounces. The high neck and short sleeves suggest afternoon or evening wear. Original brass hooks and eyes fasten up the center back. Brown cotton lines the bodice and sleeves. 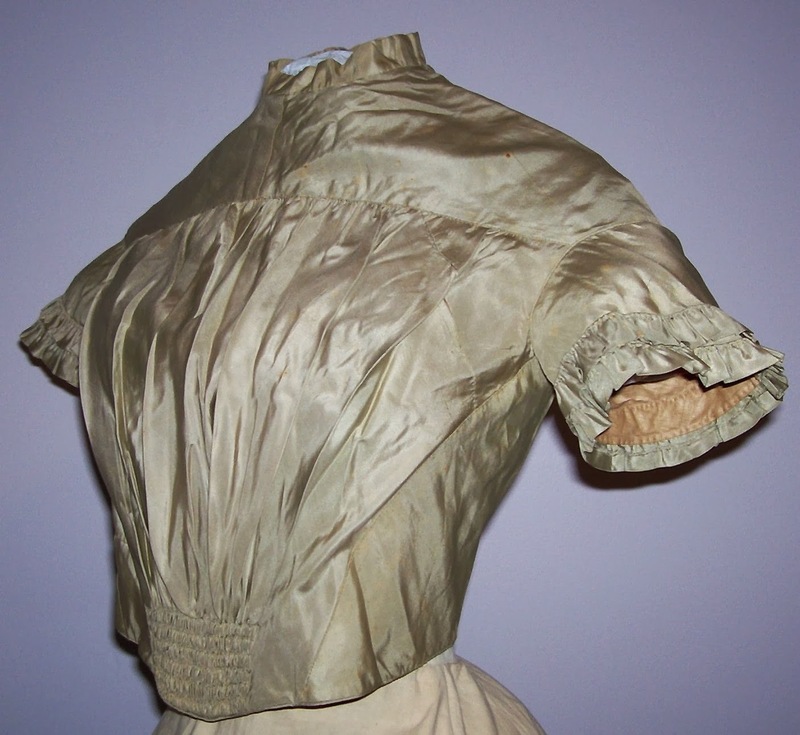 Entirely hand-stitched and boned, this bodice is a wonderful addition to any collection of early clothing! Condition is structurally good. I found some minor scattered pinholes and age discoloration not uncommon with silks from this period. There are two areas where the fabric was pieced (economical lady!) and the stitches have come undone. This isn't really distracting, but can be carefully restitched if desired. 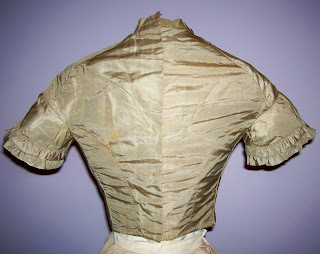 Measurements are: The bust is 32 inches & the waist measures 26 inches. Lovely is not the word I would use to describe this. Very much a transitional piece. The 1840's silhouette was defined by a long waist and sloped shoulders - like we see with this bodice. 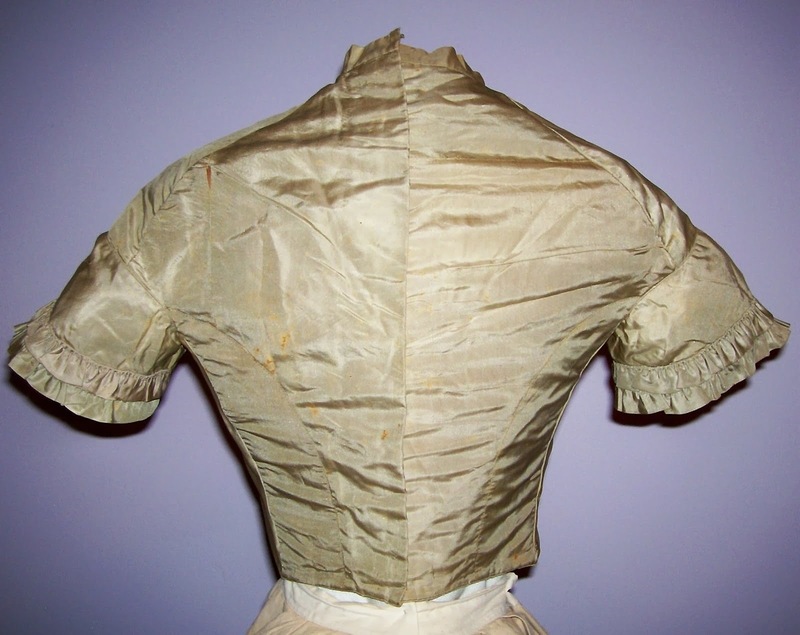 However, the pleating on the front is typically more defined (fan shaped) and not as messy looking - meaning this was probably earlier in the 1840's rather than later.